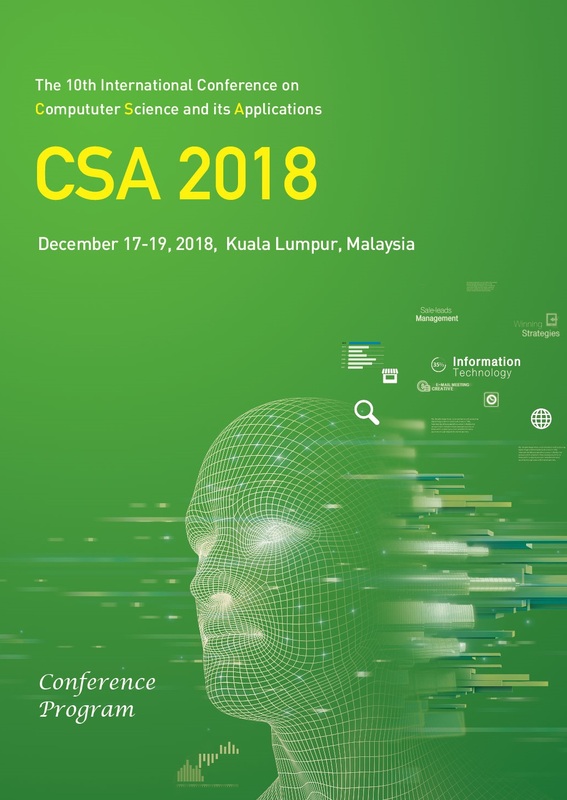 The 10th International Conference on Computer Science and its Applications (CSA 2018) will be held in Kuala Lumpur, Malaysia, Dec. 17-19, 2018 CSA 2018 will be the most comprehensive conference focused on the various aspects of advances in computer science and its applications. CSA 2018 will provide an opportunity for academic and industry professionals to discuss the latest issues and progress in the area of CSA. In addition, the conference will publish high quality papers which are closely related to the various theories and practical applications in CSA. Furthermore, we expect that the conference and its publications will be a trigger for further related research and technology improvements in this important subject.